A year ago, we affirmed our duty as psychiatrists to alert the public about a president’s mental state if it posed a danger to society. To fulfill that responsibility, we both contributed to the book “The Dangerous Case of Donald Trump: 27 Psychiatrists and Mental Health Experts Assess a President.” Now, almost two years later, there appears to be consensus among all but the president’s most loyal supporters that Trump is indeed unstable and dangerous. Yet the voice of those most qualified to assess mental impairment has been largely absent, slowing the public’s understanding, and hampering its ability to demand protective action. In times of crisis, established civic institutions may rise to the challenge, retreat into self-protective silence, or even intentionally or unwittingly collude with the new sources of power. Shortly after Trump became president, the American Psychiatric Association, which receives federal funding and relies on pharmaceutical industry support, made the unprecedented move of converting an ethical guideline into a prohibition. 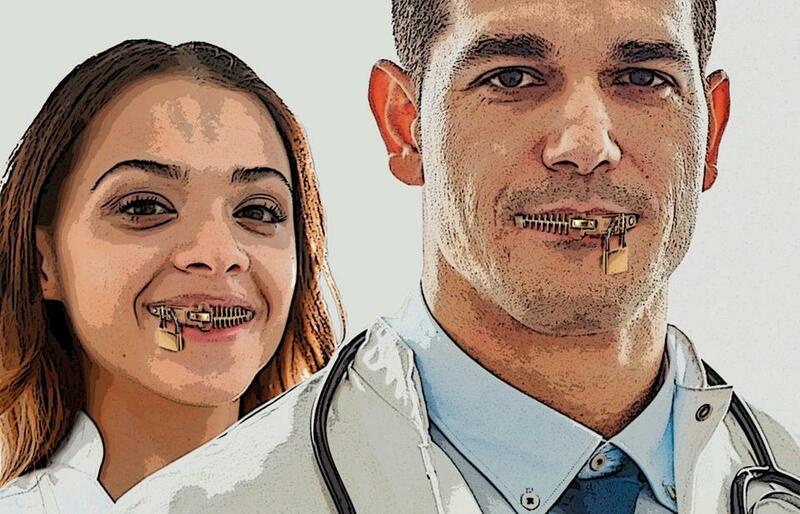 Disregarding the primary mandate of health professionals to ensure public health and safety, it imposed absolute silence on its members who would otherwise speak out in the public square. Separately, it vigorously attacked those of us who tried to alert the public as practicing “armchair psychiatry.” Simultaneously, two former presidents of the APA condemned us for breaking the Goldwater rule (the guideline that we should not diagnose public figures we have not examined), a course of action that we explicitly had foresworn, even as they themselves speculated on diagnoses. The only difference was that their diagnoses trivialized Trump’s issues, whereas our assessment of dangerousness (which is not a diagnosis) pointed directly to the matter of his unfitness. Most of the public may view this as inside baseball, or “shrinks being unable to agree.” However, there has always been a medical consensus about Trump’s condition among responsible and capable professionals. What was remarkable and alarming was that, in the face of this overwhelming agreement, the APA decided to escalate the Goldwater rule into a total gag order, so that a member who speaks out about a public figure and identifies himself/herself as a psychiatrist is in violation of the APA’s ethical code. This is unlike any other medical speciality. Membership was up in arms, protesting through a wave of resignations, demands for a vote, the creation of a commission to reexamine the rule, and an informal vote among psychiatrists revealing that a majority believed that the Goldwater rule should be revised. Indeed, a thoughtful proposal for revision prepared by dissenting professionals was submitted to the APA more than six months ago but has gone unacknowledged and unanswered. We have continued to speak out in defiance of the APA’s newly interpreted gag order. We have done so because the primary responsibility of medical professionals is to protect patients and society — not public figures, not political interests, not even the reputation of the profession — and it was important to make this clear, especially in the face of institutional reticence and self-protection. Further, if lawmakers would not act, and our professional association colluded by remaining silent, it was incumbent upon members of the profession to speak from our experience and medical expertise. Dr. Robert Jay Lifton called this the spread of “malignant normality,” based on his study of how Nazi doctors were acculturated into accepting the task they were given in the killing process at Auschwitz as “normal.” Human beings are very adaptable, and there is almost no degree of pathology we could not grow accustomed to, unless those with clear knowledge of what was happening were to speak out. Based on the experience of physician compliance with Nazism, we now have the Declaration of Geneva, the universal physician’s pledge that recognizes either silence or active cooperation with a destructive regime as running counter to medicine’s humanitarian goals. For this reason, we continue to believe that public discourse by mental health professionals on what is at the source a national mental health crisis is the first step to having clarity and empowering the people. The American Psychiatric Association has failed to respond to this emergency; at a minimum, it should cease threatening and demeaning those psychiatrists who do. Dr. Bandy X. Lee is a psychiatrist at Yale School of Medicine. Dr. Leonard L. Glass is a psychiatrist at Harvard Medical School. Both have resigned from the American Psychiatric Association in protest.